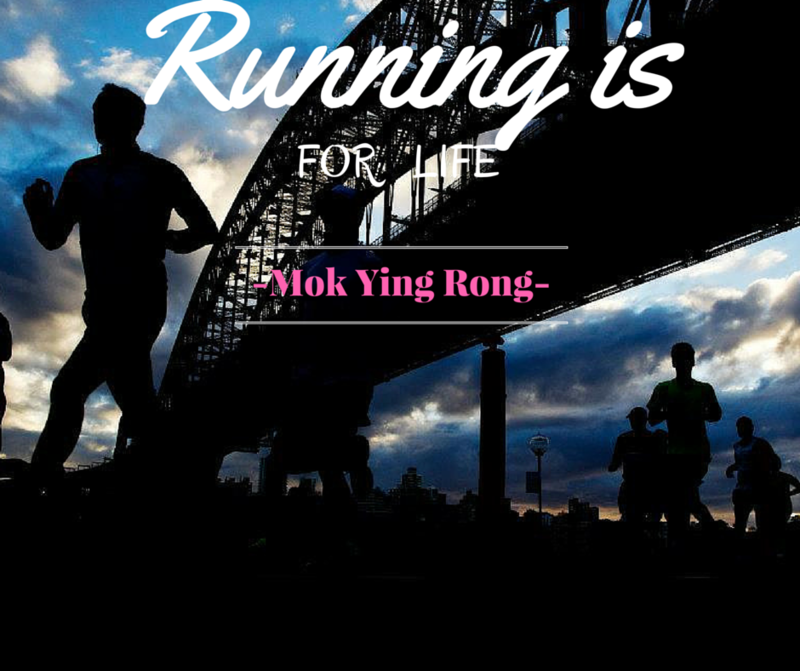 Interview with Mok Ying Rong: Blackmores Sydney Running Festival | JustRunLah! An annual FUN for EVERYONE! 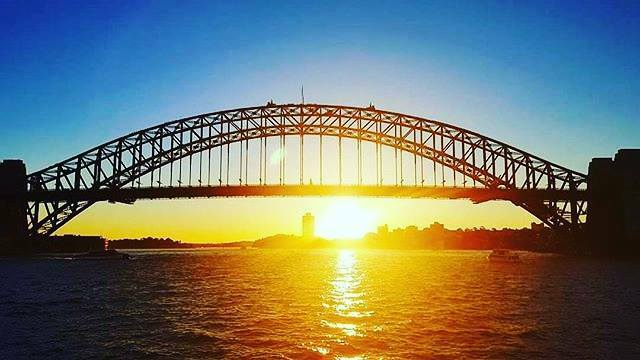 This year Blackmores Sydney Running Festival will be held on 18 September with four categories to choose from: Full Marathon, Half Marathon, Bridge Run (9 km) and Family Fun Run (4 km)! The new flatter, faster and even more beautiful Sydney courses will take you pass through some of Sydney’s most breathtaking and historic landmarks including the Harbour Bridge and Opera House – one of the 20th century’s most distinctive buildings, world-famous performing arts centre and a UNESCO World Heritage Site. 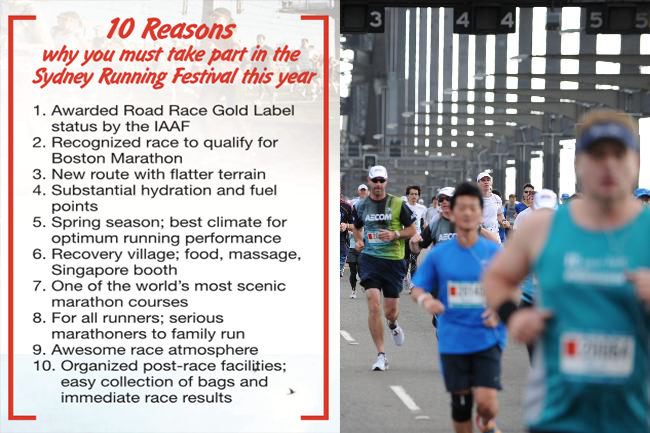 The Australia’s LARGEST and most prestigious running event! The past event drew over 34,000 participants, including more than 2,500 international runners from 57 countries, and 2,000 interstate contestants. It is a highly attractive race to both amateurs and elites alike, the September date falls in the Australian spring, when the temperatures are cool and comfortable (high of 25⁰C, low of 10⁰C), suitable for racing the flat course. The cut-off times are 6 hours for the Full Marathon and 2 hours 45 minutes for the Half Marathon. You can look forward to the four-day pre-race ASICS Event Expo, for race pack collection and baggage drop-off, as well as the post-race Blackmores Recovery Village, where food, drinks and giveaways await, live bands providing entertainment, activities for children and grown-ups alike, and you can receive free massages, with priority given to marathoners of course! Want to hear from a past year participant – Mok Ying Rong? “The weather was fantastic and the course was very scenic. 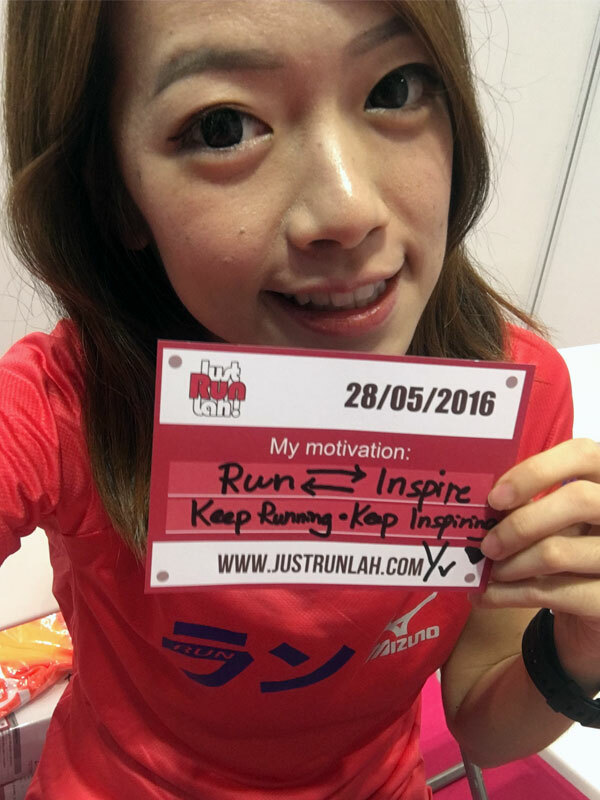 I had an amazing race experience overall and had my PB during that time” – Mok Ying Rong, Singapore National Runner and winner of the Sundown Half Marathon 2014. Just Run Lah! caught up with Mok Ying Rong to share about her running experiences in 2014 Sydney Running Festival with CTC Travel. Let’s find out what she likes most in the Beautiful Sydney! JustRunLah! : When did you first pick up running (what age) and what inspired you to keep pushing your limit? YR: I first started running when i was 15 years old. As my timings started dropping, I started being more inspired to push my limits. JustRunLah! : Throughout your running years, what do you regard as your personal achievement to date? 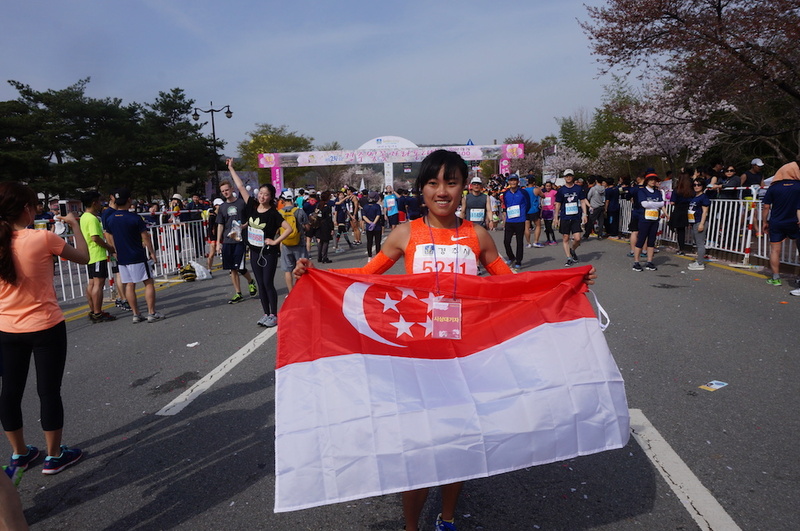 YR: Representing my nation at the World Cross Country in 2015 in China and then breaking the Singapore half marathon national record at the 2016 Gyeongju Cherry Blossom Half Marathon are my two greatest personal achievements. JustRunLah! 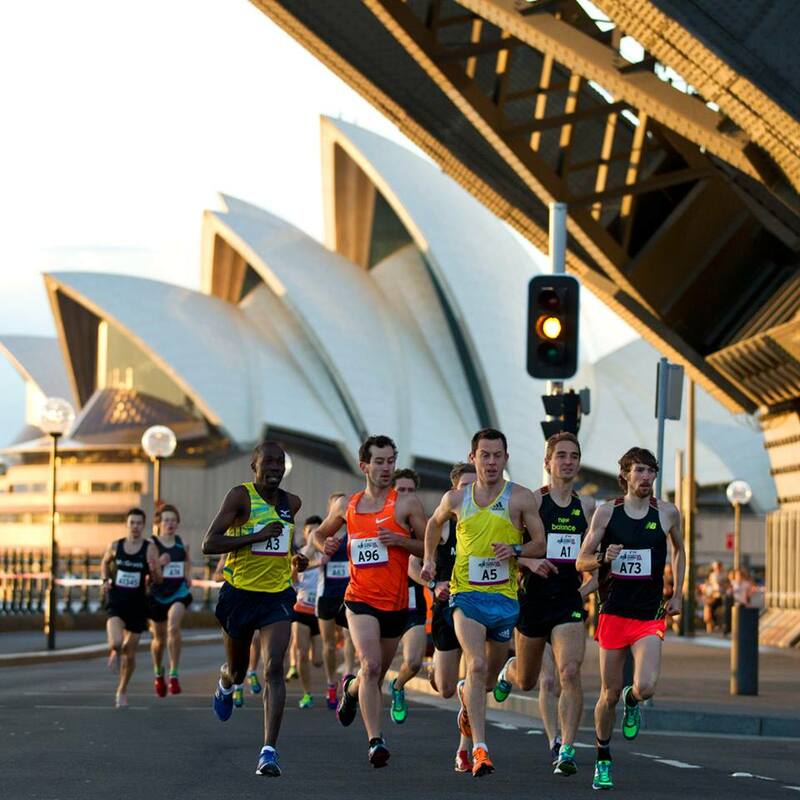 : We know you took part in Blackmore Sydney Running Festival 2014 with CTC Travel package. What motivates you to travel and race in foreign countries? YR: Being able to run alongside other elite athletes from all over the world in Sydney Running Festival motivates me to race in other countries. JustRunLah! : Share with us your experiences in Blackmores Sydney Running Festival 2014. YR: The festival was really enjoyable as the atmosphere was very lively. I had a great time running and enjoying the post-race activities! JustRunLah! : One thing you enjoyed doing in Sydney after the race? YR: I enjoyed walking along the Sydney Harbour and visiting the Opera House! JustRunLah! : Some advices for all the participants at Blackmores Sydney Running Festival 2016? E.g. Pre-race tips, running gears etc. YR: Gear up and prepare to run alongside beautiful scenery in Sydney! Sounds like a plan and ready to transform your Runner’s High into an unforgettable Sydney RUNCATION?